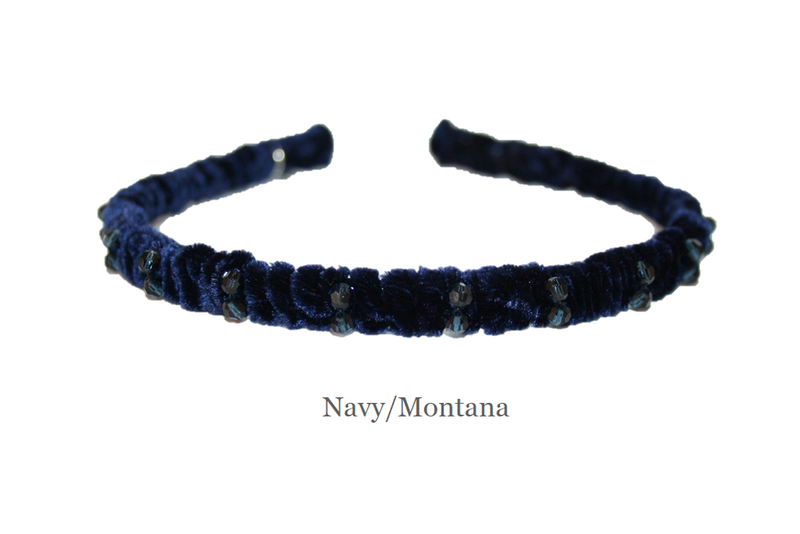 Silk Velvet gathered on to a flexible headband and wrapped with crystals. 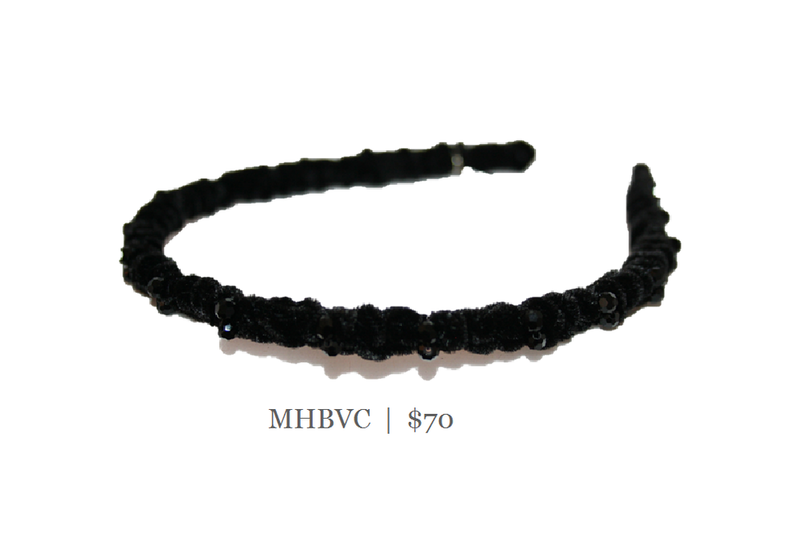 The velvet helps hold the headband securely in place so it will not slip. 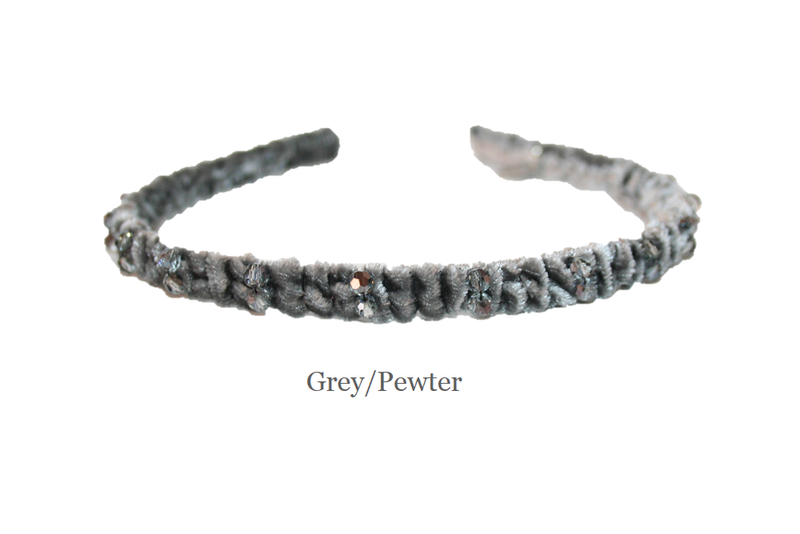 This piece is very comfortable and has just the right amount of sparkle. Choose a velvet color and we will use a complimentary crystal color.